Beautify your yard and protect your local environment with native plants. The Conservancy will be selling over 130 different native species of perennial flowering plants, ferns, vines, and grasses in 4 inch pots. Prices will range from $4.00 - $20.00. Behmerwald Nursery will be joining us to sell a wide variety of native trees and shrubs. 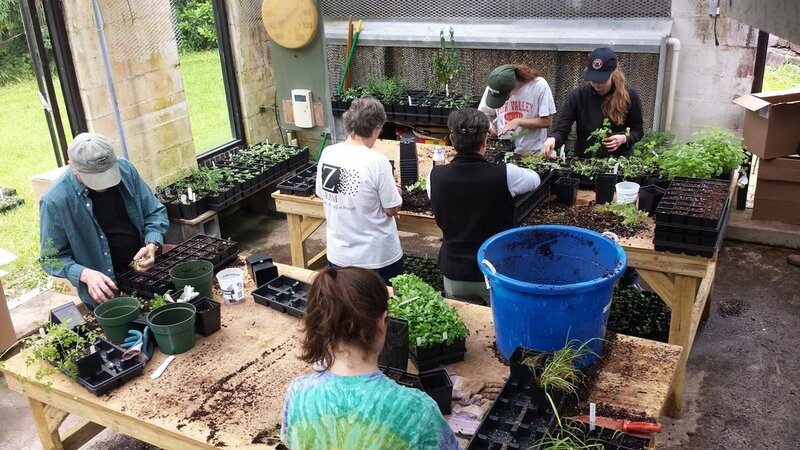 The Native Plant Sale will also feature expert advice from Conservancy staff, a free Tree Identification Walk at 10:30AM - 11:30AM, and a Rain Barrel Workshop from 1PM - 1:30PM. Pre-registration is required for the Rain Barrel Workshop. Interested in working with native plants? Volunteer for our Native Plant Project! Learn about the benefits of utilizing Pennsylvania native plant species in your planting projects.